Yoshida Hiroshi (1876–1950) was the most successful Japanese woodblock printer of the early twentieth century. 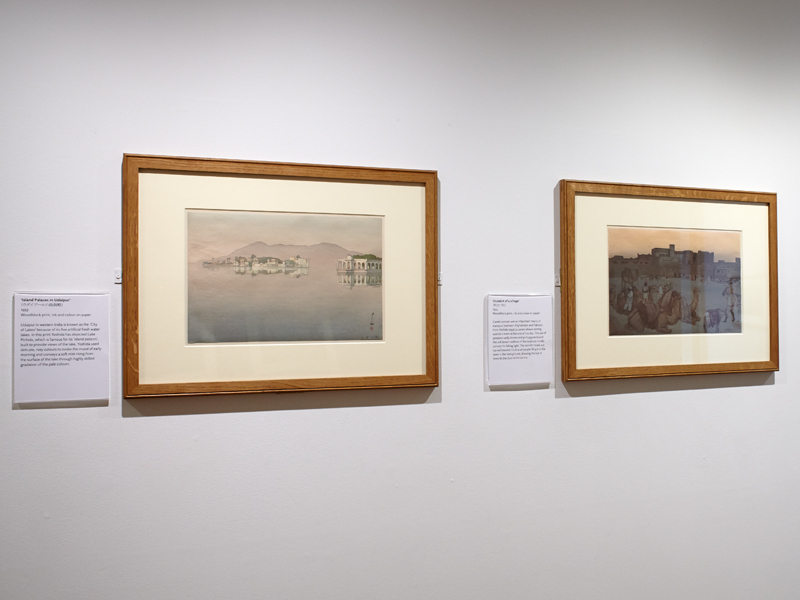 Initially trained as a Western-style painter in oils and watercolours, he shifted his focus to woodblock printmaking in the 1920s, producing exquisite prints with a translucent, layered quality reminiscent of watercolours. He was a leading figure in the ‘Shin Hanga’ (New Print) movement, which looked to revive traditional ukiyo-e printing by combining Japanese techniques with Western artistic conventions. 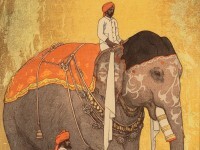 From November 1930, Yoshida spent over four months travelling in India and Southeast Asia, sketching and painting the sights. 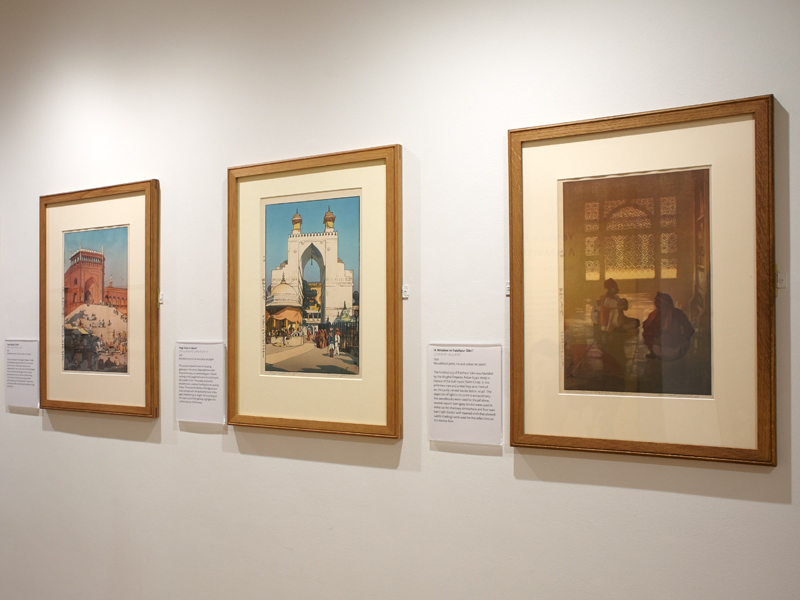 In the following two years he produced a series of 32 woodblock prints of scenes from his trip. 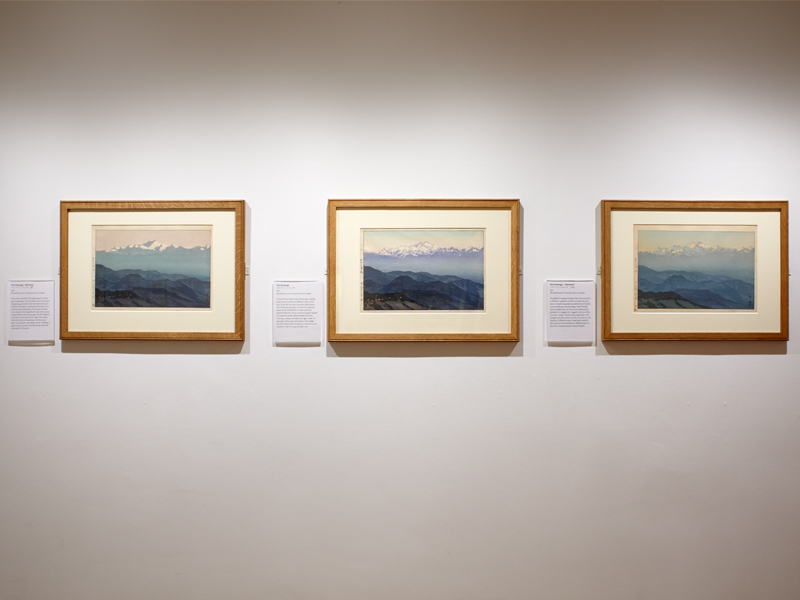 Yoshida was particularly fascinated with the quality of light that he found in India and he often depicted the same subject at different times of day or night. 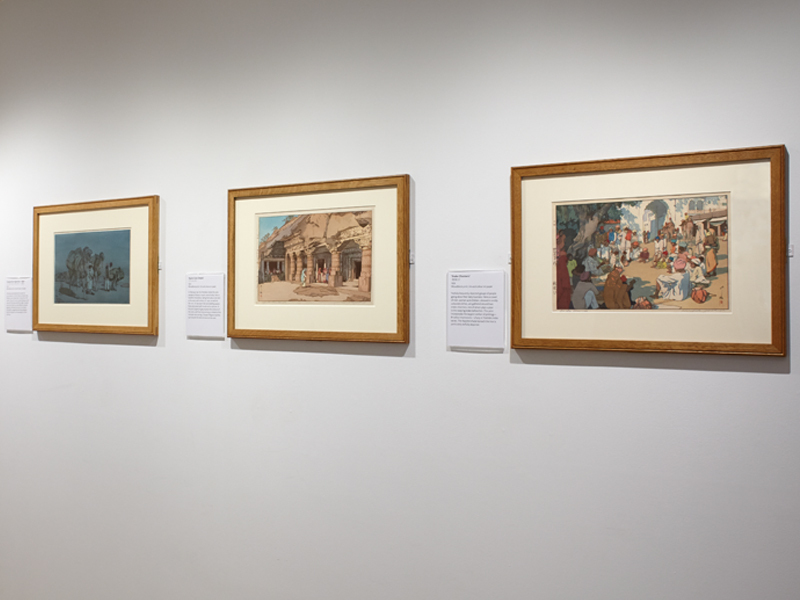 The Museum is grateful to the Lahiri Collection for lending the works on display in this show. 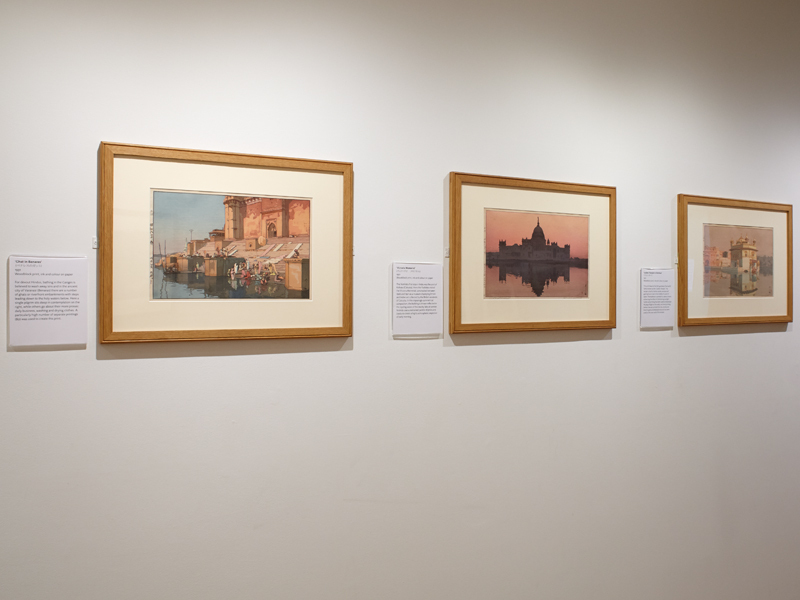 Yoshida Hiroshi: A Japanese Artist in India was on display in the Eastern Art Paintings Gallery from 9 June until 13 September 2015. 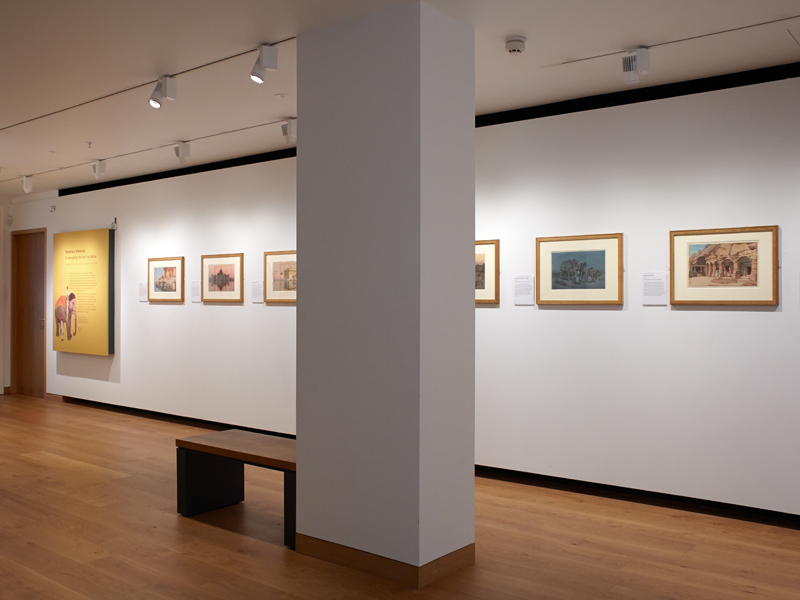 Eastern Art Paintings Gallery - Yoshida exhibition, panel and east wall. Eastern Art Paintings Gallery - Yoshida exhibition, east wall. Eastern Art Paintings Gallery - Yoshida exhibition, east wall. Eastern Art Paintings Gallery - Yoshida exhibition, east wall. Eastern Art Paintings Gallery - Yoshida exhibition, east wall. 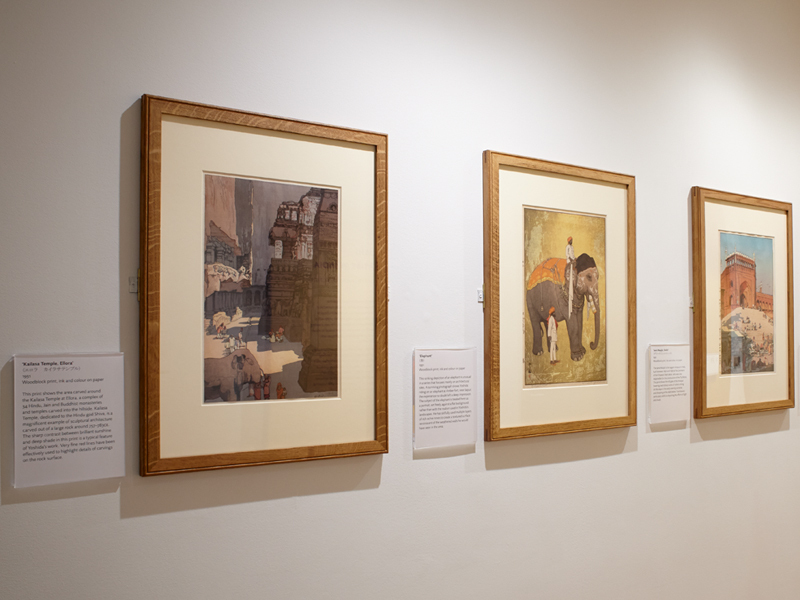 Eastern Art Paintings Gallery - Yoshida exhibition, south wall. 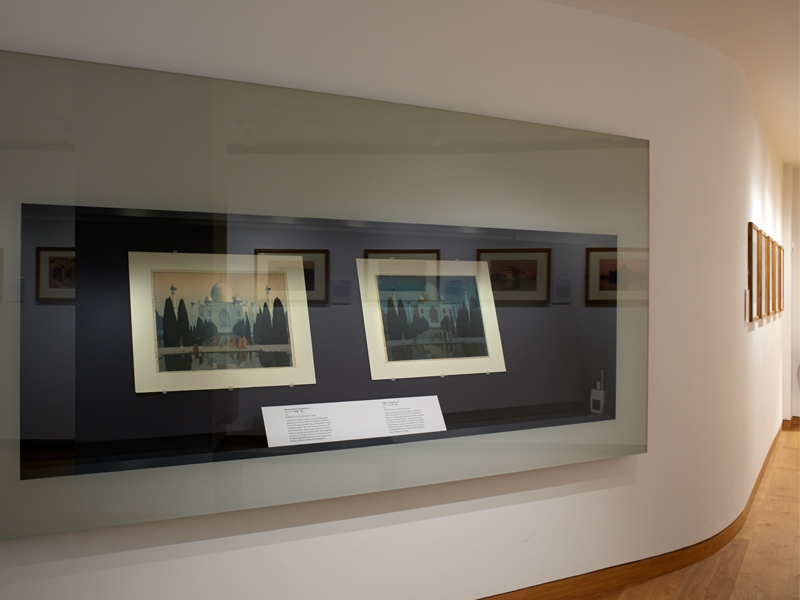 Eastern Art Paintings Gallery - Yoshida exhibition, vitrine. Eastern Art Paintings Gallery - Yoshida exhibition, west wall. 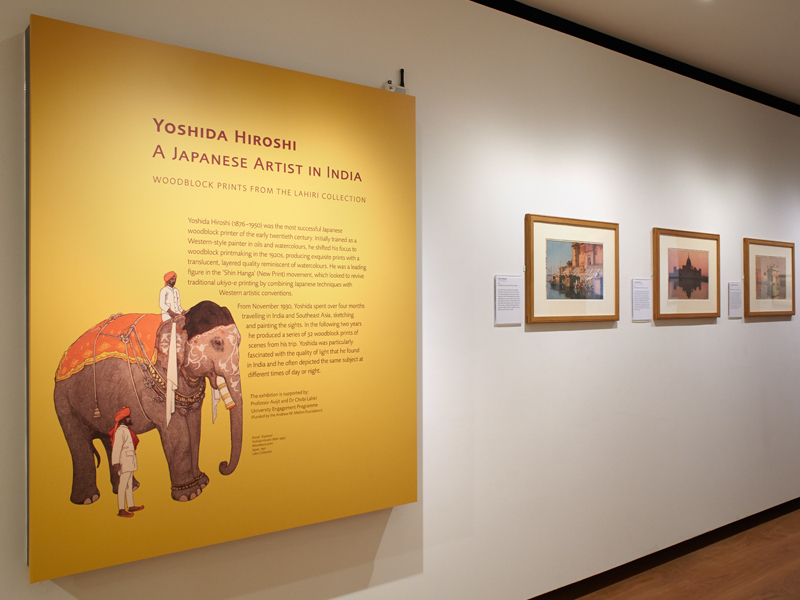 Eastern Art Paintings Gallery - Yoshida exhibition, west wall.